Η Jeep και η Garage Italia Customs ετοίμασαν δύο ειδικά Renegade για το παιχνίδι Uncharted 4 που σύντομα θα βγει στην αγορά. 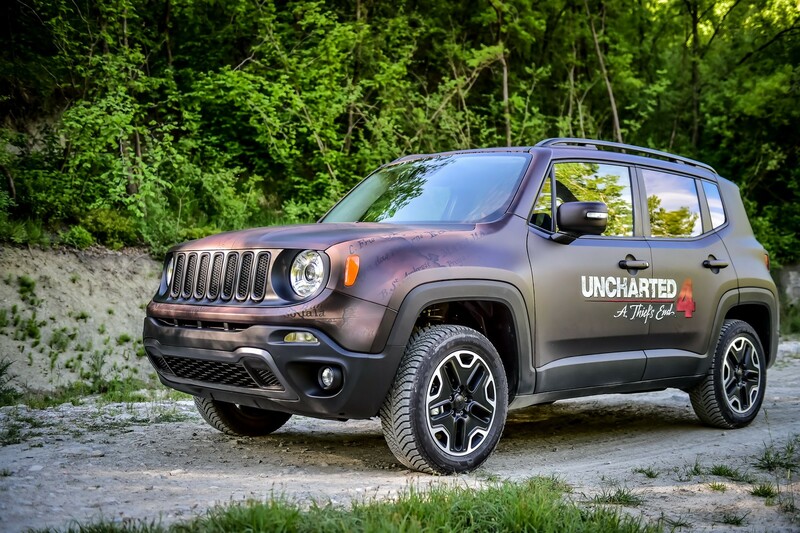 Τα έχουν ονομάσει Jeep Renegade Uncharted Edition, με τα αυτοκίνητα να έχουν ντυθεί με ένα ειδικό θερμοχρωματικό αυτοκόλλητο βινυλίου, που κάτω από το μαύρο χρώμα του, όταν ζεσταθεί αποκαλύπτεται ένας αρχαίος χάρτης της Αφρικής που εμφανίζεται στο παιχνίδι. Ο χάρτης εμφανίζεται πλήρως στους 30 βαθμούς Κελσίου, και όταν η θερμοκρασία μειώνεται, το αυτοκίνητο γίνεται μαύρο. Τα δύο αυτοκίνητα θα χρησιμοποιηθούν για τις ανάγκες προώθησης του παιχνιδιού στην Ελβετία, σε περισσότερα από 30 event, με ένα από τα αυτοκίνητα να κληρώνεται ως δώρο σε κάποιον τυχερό. 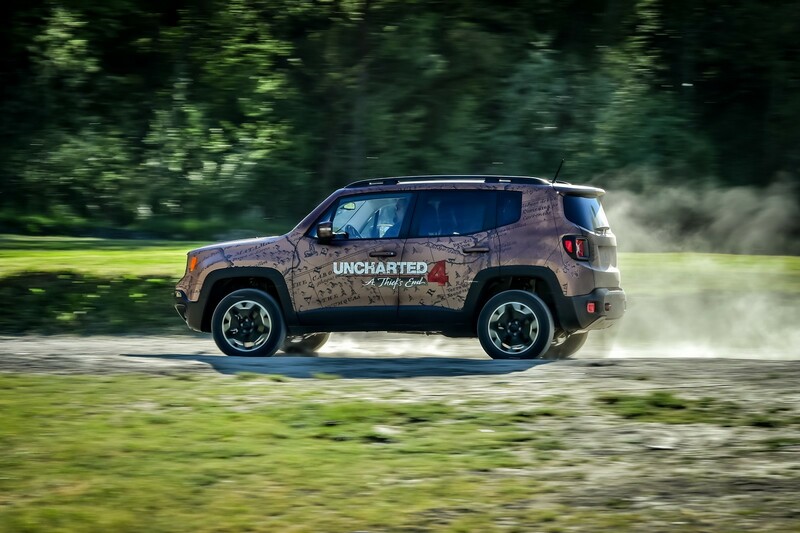 The new Renegade Uncharted Edition, an exclusive showcar inspired by the video game Uncharted 4 to be released soon, is debuting in Switzerland. 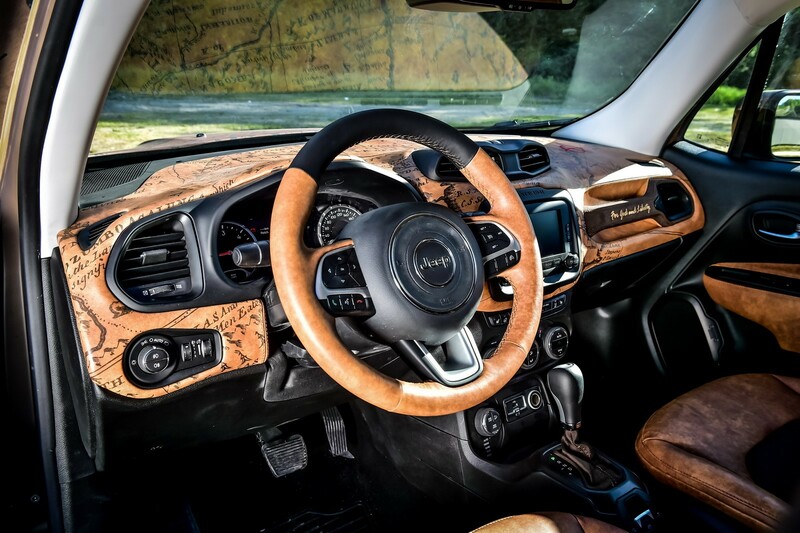 Springing from the partnership between the local Jeep® division and Sony PlayStation Switzerland, the one-of-a-kind car was customized by Garage Italia Customs. 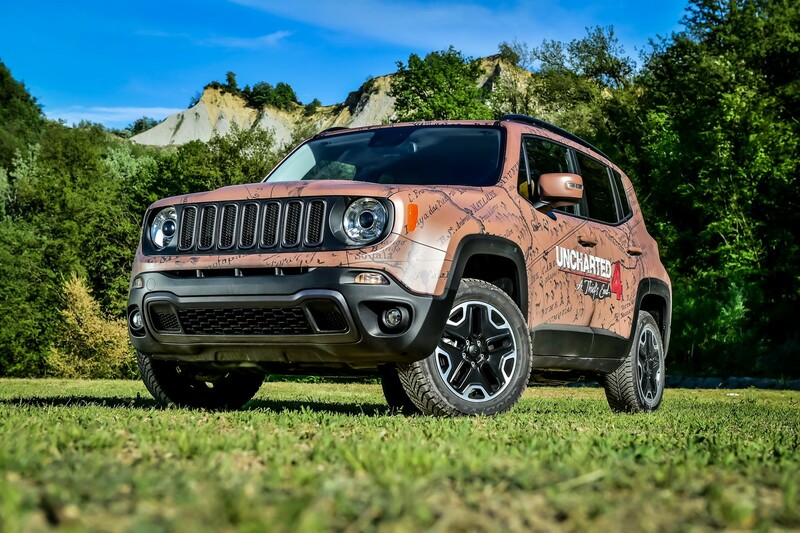 The Garage Italia Customs Style Center was inspired by the ancient map of Africa that appears in the first official trailer of the game – to tailor a special film in which the entire body of the Jeep Renegade is wrapped. Then, using a special wrap-paint technique, the Garage Italia Customs craftsmen applied an innovative black thermochromic paint to conceal the entire surface of the map from sight. The paint becomes gradually transparent as the temperature rises, letting the wrapping peek through and entirely disappears at 30 °C. Conversely, the Jeep Renegade turns black again as the temperature cools down. 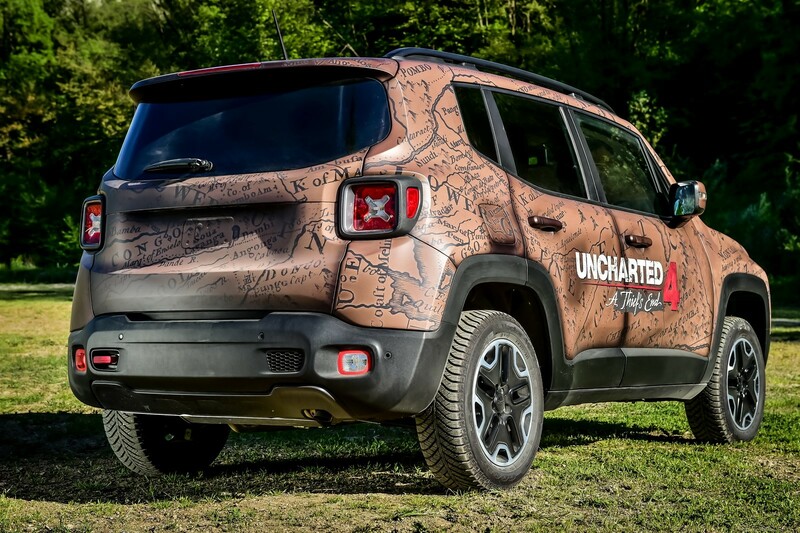 This is the second Renegade showcar dedicated to the new Uncharted 4 game and customized by Garage Italia Customs. The first one was presented in Montreux last March at Polymanga 2016. Until June 5, the two Renegade showcars will be on display during the Swiss tour of Sony PlayStation in over 30 stops. 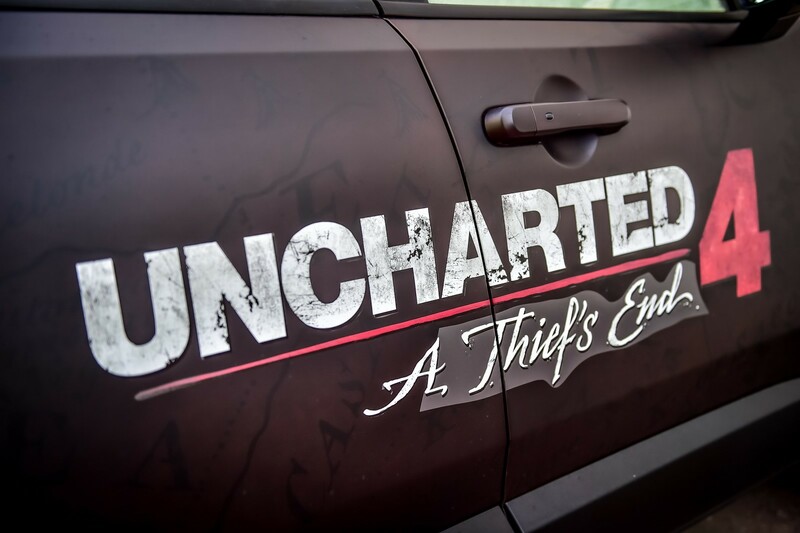 One of the cars will be the prize for the winner of a mini game organized especially to celebrate the local partnership between Jeep and Sony PlayStation. The game will be online on the website www.jeep.ch from May 10. 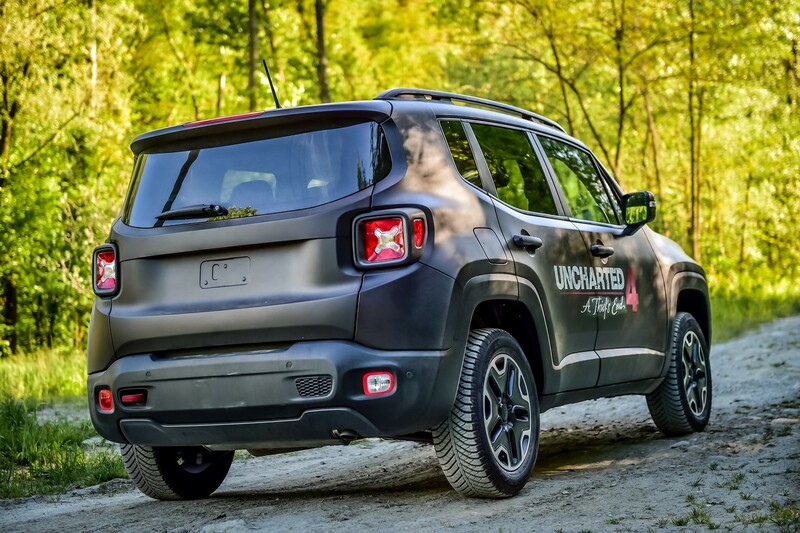 The spectacular Renegade Uncharted Edition showcar reasserts the versatility of the Jeep SUVs, and in particular their natural flair to be customized with bold and distinctive interpretations. Further confirmation of this are the showcars – also based on the Renegade model – made last year for the legendary Montreux Jazz Festival, of which the Jeep brand is Global Partner for the second year in a row. 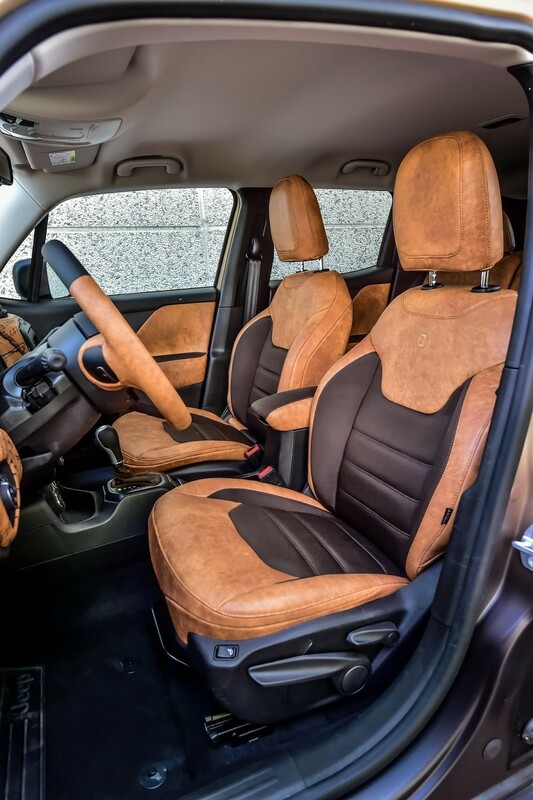 These are all very high quality products in which Garage Italia Customs’ typical Italian craftsmanship blends with the outstanding personality of the first Jeep built in Italy and sold in over 100 countries worldwide.